Apple's release of iOS 4.3, due for public release next week on March 11, introduces iTunes Home Sharing to the company's mobile devices, allowing iPhone, iPod touch and iPad users to stream content from their local iTunes computer. 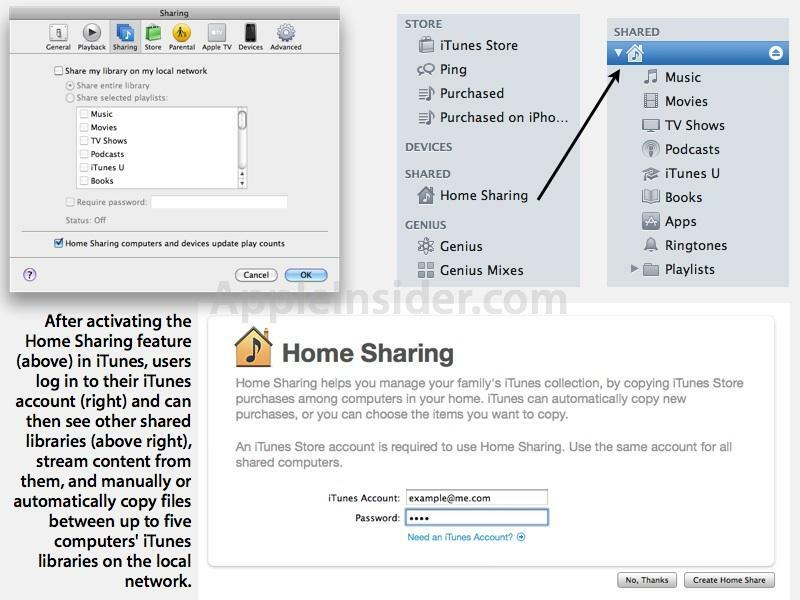 Home Sharing is a feature of iTunes that is currently restricted to Macs or PCs. It allows up to five computers running iTunes to stream or transfer music, videos and other content between the system's iTunes libraries. On each computer running iTunes, the user activates Home Sharing as a feature within preferences. The user then logs each into the same Apple ID, and then only needs to be on the same local network to allow other similarly configured local systems to stream content from the other computers' iTunes libraries. Computers running iTunes can also use Home Sharing to both manually transfer (import) iTunes content from other Home Sharing libraries, or configure them to automatically transfer new purchases from another library on the network. 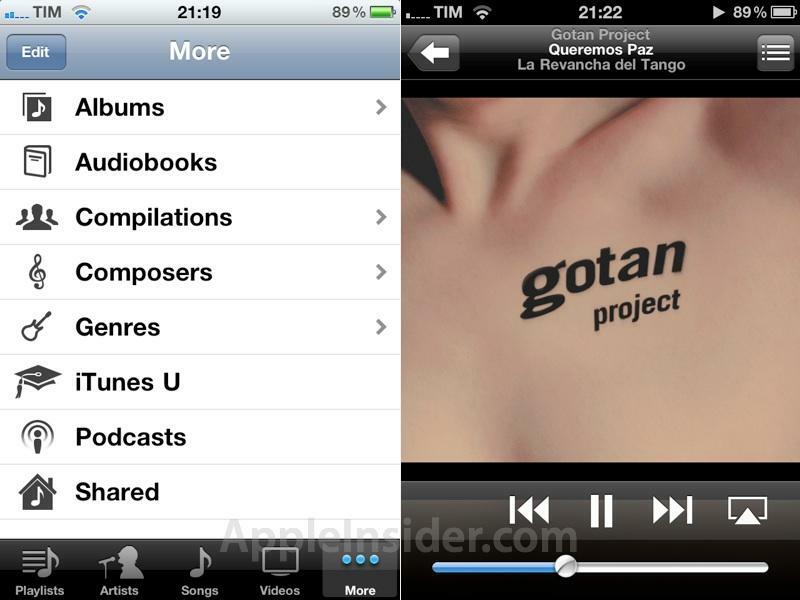 With the release of iOS 4.3 (and iTunes 10.2), Apple brings Home Sharing to its mobile devices, allowing users to access content from their local iTunes library without downloading or syncing content; it simply plays wirelessly. 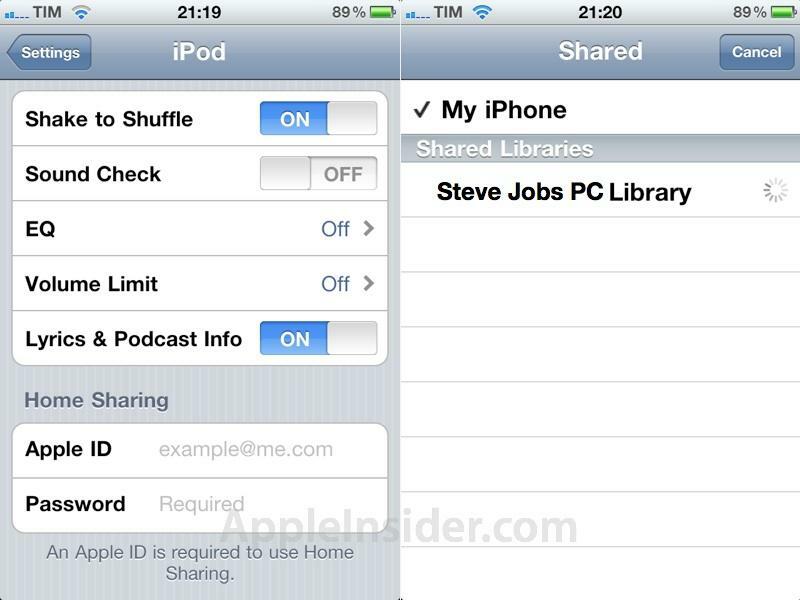 To use the feature, iOS users log into their Apple ID under iPod Settings, which then allows the device to discover the Shared Libraries on the local network and access them from remote streaming of songs, movies, TV episodes, podcasts, iTunes U and audiobooks. An unlimited number of iOS devices can access content via Home Streaming, just as iTunes supports any number of iPods, iPhones and iPads via sync. In order to use Home Streaming in another location with systems tied to a different iTunes account, the user would simply enter the new account information. Remote streaming of iTunes movies and music appeared to be very high quality on the high speed 802.11n WiFi network. While initial playback of a commercial movie took a few seconds to begin, we were subsequently able to scrub through the movie to jump to another point with playback resuming instantly.